Sold and fulfilled by AmaStore (2.9 out of 5 | 7 ratings). Ships from and sold by AmaStore. 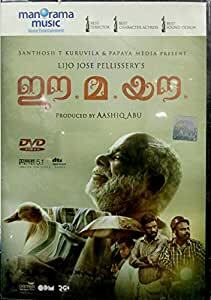 Set in Chellanam, Kochi, the story of Ee Ma. Yau revolves around the death of Vavachan Mesthiri in a coastal village. It showcases the events that unfold between two evenings and looks at death from different perspectives.